Price: $99.95 – $189.95 & FREE Shipping. Recommended care: wipe clean after each use or wash lightly with water (no detergents! ), remove insole and dry all at room temperature. Occasionally conserve the blade of the skate. Double Density Ankle Padding The new model of the DRAFT 281 JR hockey skates in an attractive design with the combination of silver and gold decoration on a black base and silver laces is designed for active young ice hockey players. It comes with protective elements consisting of the ergonomic cut of the upper with strengthening at the sides. The top is made of high-quality black PA fabric with an attractive silver print combined with resistant synthetic material and increased heel area imitating carbon material. It has a new anatomical tongue for improved comfort during skating. The plastic toe is coated with PA fabric which reliably protects the toes during collisions. The insole consists of a dual-component felt sandwich. 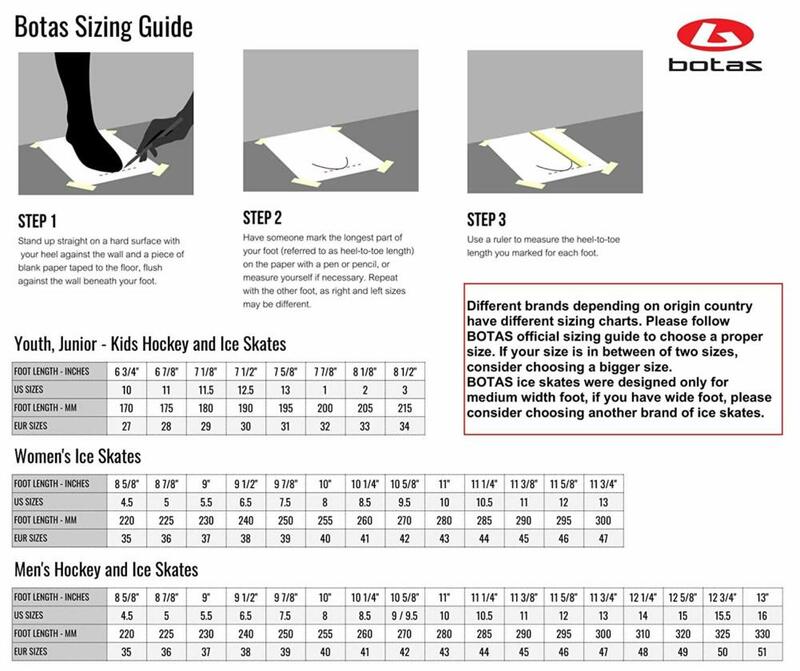 Padding of ankles in two different stiffness (DDP) and a padded lining made from synthetic velour ensure the overall resistance and strength of the boot. It comes with a black PVC outsole and white BOTAS FALCON Carbon Steel skates with high-quality Cu rivet fastening in the heel.